When it comes to arcade games and machines, we are experts, here at Williams Amusements. 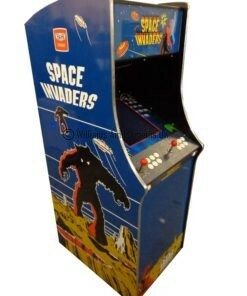 From pinball to racing machines, and Space Invaders to Tekken, we stock a full range of games and machines. Perfect for any occasion. But we don’t just sell on our favourite machines, we also hire them out too. But with the Xbox, Playstation and Nintendo Switch to compete with, not to mention the gargantuan mobile gaming industry, why do people hire arcade machines? Well, here are some of the most popular reasons to hire an arcade machine. Yep, we couldn’t believe it either. But as wedding parties become increasingly personalized, and more in line with the tastes and interests of the lucky couple, arcade machines are becoming a staple at evening functions. Especially themed weddings, and weddings designed to be something a little more unique. 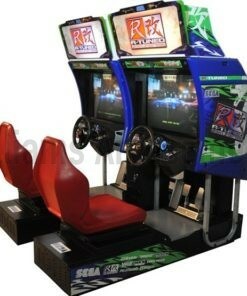 Gamers can hire arcade machines to bring the guests together, of all ages, and enjoy hours of entertainment. And the novelty value means its far more likely to be successful than plugging into current consoles. Another of the popular reasons to hire an arcade machine is for team building and corporate days. While enjoying some gyhll scrambling might work for some companies, outdoor pursuits are often not accessible to all team members. So more and more companies are opting for entertainment options that can take place in the office environment. This also cuts down on costs exponentially. Arcade machines can be a great option for this, as it not only challenges employees to work together, its also a lot of fun! Finally, top of the list of popular reasons to hire an arcade machine are pubs and restaurants. And really this makes a lot sense If proprietors are not sure about purchasing a machine outright, they can hire one to try. This can provide a good insight into how much money they will make, and whether the investment and initial outlay will be worth it. If you want to hire any of our machines, get in touch today, here at Williams Amusements.